Aberration controlled lens helps to enhance image quality by mitigating physical defects or irregularities in the lens causing an imperfect image. Aesthesiometer is a device used to measure the sensitivity of eyes especially cornea, eyelid margins and other ocular structures conditions to determine whether sensitivity is normal or altered. Alignment fit is a pattern that depicts the even contour of the lens or radius of the curvature of the central optic zone of the contact lens perfectly fitting in cornea with light tear pooling. Alternation vision lenses are contact lenses that provide near power and distance power with in the lower portion and the upper portion of the contact lenses respectively. The flat bottom edge of the lens facilitates eyelids to position the lens in the correct position to work effectively. Anoxia is a condition where supply of oxygen to any organ or any part of the body is not being delivered properly or completely absent. Anterior is referred to as the part of the eye behind the cornea that lies in front of the iris and lens. Apical Clearance is the distance between the anterior surface of the cornea and the posterior surface of contact lens. Contact lens fit steeply between the posterior surface of the lens and anterior surface of the corneal apex causing pool of tears. Apical touch is a fitting of contact lenses where the posterior surface of the lens rests on the apex of the Cornea. Asepticization is the process of sterilizing or cleaning harmful microorganisms at controlled heat. Aspheric Lens or Aspherical lenses are lens whose surface profiles are non-spherically designed and takes the shape of ellipse, hyperbola or parabola in general. Astigmatism is the defect of optical system that causes blurred near and distance vision due to the asymmetric contour of the Cornea’s curvature or irregularly shaped lens behind cornea. Autoclave is a device used for sterilizing contact lenses under heat and pressure. Thus, it is generally done for 15 minutes under the temperature of 121 degree Celsius. Axial Edger Lift is the distance measured parallel to the lens axis between specific points on posterior surface of lens at a specified diameter to the back central optic zone. Back Optic Zone Diameter also referred to as back central optic diameter which is the diameter of central optic zone of either the front or back of the contact lens specified in millimetres. Back Optic Zone Radius is also referred to as back central optic radius or posterior central curve radius. BOZR is the radius of curvature of back optic zone of contact lens. Back Peripheral Radius as the name implies is the radius of curvature of a Peripheral curve on a contact lens. The back surfaces of contact lenses that are partially or completely designed of toric construction with the front surface being spherical or Toroidal is referred to as Back Surface Toric. Bandage contact lens is a normal soft lens with no power, intended to enhance the vision of injured or diseased Cornea from the mechanical rubbing or blinking of eyelids. Base Curve is the term generally used in the context of soft lenses to specify the radius of curvature of sphere from which lens is made. Smaller base curve (Steep) works better if lenses feel loose and conversely, large base curve works well if lenses feel tight. Bi-Aspheric lenses have two aspheric curves at the back surface that facilitate an undistorted image almost at every edge of the lens. Bi-curve lenses are constructed out of one peripheral curve and central radius as the name implies. A Bifocal lens has an upper and lower part separated by a segment line for distance and near vision respectively. Bitoric lenses have both the posterior and anterior surfaces of the contact lenses made of toric construction. Blending of lens is transiting the curve intermediate between the two radii to soft and smooth lens with light, medium or heavy blending. The Tear break up time is the time measured in seconds required to break up the Pre-corneal tears or dry spots to appear on the corneal surface. To test BUT sodium fluorescent is used and tear film is observed while the patient is made not to blink his/her eyelids until dry spots develop. In general, >10 seconds is normal, <5 seconds is low and 5-10 seconds is thought to be normal. Bullous Keratopathy is a pathological condition where the formation of large sub epithelial bullae or small vesicles that exposes corneal nerves and causes intense pain when ruptured due to endothelial damage or dysfunction. Burton lamp is a source used to excite fluorescein and enhance observation with the light of 400nm wavelength. Carrier is the part of a lenticular lens that surrounds the anterior optic zone of the lens. To design contact lenses Cast Moulds are used in making required contact lens surfaces with the convex curve along the outer radius especially for making rounded edge surfaces by employing heat or cold moulds. Cleaning solutions are liquids used to clean the contact lenses to remove unwanted dirt, dust, scales and other residues from the surface of the contact lenses. Coloured tinted contact lenses are lenses that enable you to enhance or change the colour of your eyes regardless of the natural eye colour you have. The tinted colour on the lens does not affect the colour you see rather it helps you to locate the lens when you drop them or in water. Combination lenses are lenses where hard the lens is made to fit on the top of soft lens on the same axis for better comfort. Compression moulding is the process of manufacturing hard lens with preheated moulding material and maintained at constant heat and pressure until the material is formed. Concentric bifocal contact lenses have acircular periphery in the central region for distance power correction and surrounded by concentric rings of power fornear and distance power correction at annular to achieve better vision in bright conditions. Conditioning solutions contain agents that wet and coat the surface of the lens in order to make them more comfortable and easier to clean. The conditioning solution removes debris and deposits and enhances the biocompatibility of the lens. Conoid is the distinguished cause of corneal moulding and designed fenestrated Poly methyl methacrylate(PMMA) lens that are steeper than k and fitted 0.3mm introduced in 1960. To make the Back Optic Zone Radius (BOZR) constant in a series, lenses are designed with the axial edge lifts of the peripheral curves calculated. The Contact angle is the angle at which a sessile drop of fluid meets a solid surface. The angle is constructed along a line tangential to the sessile drop of fluid at the point where the drop meets the solid surface. Trained Contact lens technician handles dispensing of contact lenses to the customers after an ophthalmologist or optometrist prepares the appropriate prescription. Inadequate cleaning or maintenance of the contact lenses may lead to accumulation of deposits on the surface of the contact lens that causes blurred and hazed vision and can potentially cause infection. Contact lens papillary conjunctivitis is an inflammatory condition caused due to the presence of large papillae, Palpebral hyperaemia and mucus secretion with symptoms that include itching, ocular discomfort or lens intolerance. Wearing contact lenses for 30 consecutive day and nights without removing them from the eyes is referred to as continuous wear contact lenses. Conventional lens are soft and non disposable long term lenses worn for repeated long periods and cleansed every night with an enzymatic cleaning solution. Cornea is in general referred to as the “window of the eyes” which is transparent and avascular to form the front surface of the eyeball which together with the lens focuses light on the retina. Corneal exhaustion is caused due to continuing chronic depletion of oxygen to the cornea, long lasting wear of oxygen - resisting lenses and over wear of poor fit lens. Thus, corneal exhaustion leads long term contact lens wearers to intolerant pain or inflammation when wearing contact lenses. Conjunctiva is a thin membrane that lines the Palpebral conjunctiva i.e. eyelids and the bulbar conjunctiva i.e. sclera. Corneal Lens is the lens that rests on each ommatidium at the distal ends and fits within the boundaries of the Cornea. Corneal moulding is a non surgical process used to eliminate astigmatism or myopia with contact lenses that mould the cornea or surface of the eye gently and safely. The Corneal oedema is caused due to lack of sufficient oxygen flow in the contact lens hence swelling and fluid retention takes place in the cornea. Corneal ulcer is a vision intimidating lesion usually caused due to bacteria that may even cause permanent scarring of the cornea. Wearing of contact lenses daily during normal waking hoursexcluding overnight wear is referred to as daily wear contact lens. Diagnostic lenses are used to determine the performance of the eyes to investigate and record dimensions and to also facilitate a clear picture for determining direct and indirect ophthalmoscopy. Dimpling is a small hollow transient formed under the contact lenses due to the trapped air bubbles that usually occurs in hard and soft lenses. Disinfecting/ soaking solutions are alkaline solutions used to sterilise contact lenses by keeping the lenses hydrated and sterilised overnight by preventing the formation of salts and other environmental debris on lenses. Disposable contact lenses are lenses that range from one day, two weeks or monthly where the lenses are thrown away and replaced with new lenses after short period of time. The oxygen permeability is referred to as DK value where the measure of oxygen transmitted by the contact lens material to the lens is referred to as DK/t. Where, D is the material diffusion coefficient, K is the oxygen solubility and t is the thickness of lens. The deficiency of tears or excessive evaporation of tears damages the inter-palpebral ocular surface which leads to ocular discomfort is referred to as Dry eye syndrome. Eccentricity is a parameter where the inside and outside diameters have no common centres i.e. the aspheric curve deviates from a circle. The centricity thus is used to explicate the curvature of the cornea and lens with eccentricity of 0.5. Emmetropia is the condition of the perfect vision where the object focuses on the retina in a neutral and relaxed state with no refractive error. More simply it is a 20/20 vision. Enhancement tint is a see through or transparent colour or shade little darker than the general visibility tint used to enhance the original eye colour more intensely. Enzyme Cleaner is used to decompose or digest the proteins, multi protein or lipoprotein deposits on contact lens. Expiry date is the period of date predetermined by the manufacture after which the products life, benefits, purity, bioavailability, potency or guarantee terminates. Wearing of contact lens for 24 hours or all day and night including sleeping hours for a specific number of days but not more than six consecutive nights are referred to as extended wear contact lens. Farsightedness is a refractive vision error caused due to the imperfections in the eyeball leading to difficulties in focusing near objects. Fenestrated contact lenses are diagnostic lenses that facilitate to measure the fitting of the optics and power of sclera lens with a distinctive overall size of 13.50-14.50mm lens. Fenestration is the process of drilling tiny holes in the contact lenses to facilitate free movement of tears and oxygen to the cornea and simultaneously spread the air bubbles and dimples in the eye. Flare causes an image to be hazed and washed out due to unwanted internal reflections and scatterings around the edge corners of the lens or due to decantation or too small BOZD homogeneities in the lens. Flexible wear contact lenses can be worn in accordance to your wear modality by either choosing daily or extended wear based upon circumstances and can be intermittently used overnight as well. Flexure of lenses is a phenomenon that turns or folds contact lenses due to the flatter or steeper lenses than “K” to shape corneal curvature where negative power is induced and affects the correction of astigmatism leading to other visual distortions. Fluorescein is a dye implanted in the eye to determine the contact lens fit and can highlight the abrasions, corneal staining and corneal pathology. Fluorosilicon Acrylates are copolymers made of fluoromonomers and siloxy monomers that have high gas permeability and are widely used in RGP contact lenses. Due to the hydrophobic nature of FSA RGP lenses they tend to attract protein deposits easily on to the lens surface. Frequent replacement lenses are designed to be worn daily and replace with new lens more frequently on a regular schedule. Front surface contact lenses are gas permeable (hard) contact lens with spherical back and toroidal front surface used when the residual astigmatism is mostly lenticular. Ghost Vessels are caused due to neovascularisation of the cornea as a result of lack of oxygen with long contact lens wear that empties blood after the elimination of stimulus. Due to residual astigmatism or a poorly fitting contact lens, a shadow like image is formed along the sides of letters or objects.This shadow is referred to asa Ghost image. Due to the presence of denatured protein on the contact lens an inflammation is caused to the eyelid lining with the symptoms of auto immune or allergic itching condition, mucus secretion, lens clouding or lens slippage rubbing against the lids. Gas Permeable contact lenses are made of breathable plastic that act as a barrier to pump oxygen to the cornea through the lens. The Gas permeable lens moves whenever eyes are blinked and thus circulates oxygen-rich tears to the eye. Handling tint is generally applied to contact lenses to make it visibly clear during insertion, where the colour has no effect on the eye. Hard contact lenses are made of durable plastic of PMMA (Poly methyl methacrylate) or rigid gas permeable lenses that provide clear, sharp and precise vision. Hard gas permeable contact lenses are made of rigid plastic that allows transition of oxygen to the cornea and also offers wider range of vision corrections when compared to standard hard lens. High index lens are thinner, lighter and comfortable lenses that has a higher index of refraction ideal for strong nearsightedness, farsightedness or astigmatism. Hybrid Multifocal lens are combination of lens with gas permeable centre and soft peripheral lenses. Hydration is the process of absorption or combination of adequate amounts of water to a chemical molecule without hydrolysis. Hydrogel is a plastic material formed by cross linking polymer chains that are well known for absorbing water used for designing contact lenses. Hydrophilic chemical groups refer to a physical property of a material to transiently combine with water molecule and hence the water can enter the pores of hydrophilic material and wet it. Hydrophobic materials tend to form a separate layer when made to combine with water due to its low solubility nature but can readily soluble in non-polar solvents. Hypercapnia is a condition within the ocular tissues with an abnormal rise of carbon dioxide levels in the blood than normal parameters. Hyperopia is also referred to as Farsightedness. It a condition that is caused due to a flat Cornea, crystalline lens that are too thin, an eyeball that is too short in length or a combination of these factors where parallel light rays come to focus behind the retina with refractive state of the eyes. Hypoxia is a situation where insufficient amounts of Oxygen are delivered to the Cornea. Impression lenses are scleral lenses used to enhance vision and manage difficult corneal problems by vaulting the corneal surface they provide complete surface protection. Induced astigmatism is a condition resulting from toric lenses when fitted in the eyes have a difference refractive index between the contact lens material and tears. Infiltrates is caused due to viral infections, hypoxia and other solution sensitivity substances where white blood cells and lymphocytes are deposited in the Cornea. Iris is a thin diaphragm visible through the cornea as a coloured disk that controls light reaching the retina through diameter and size of the pupil (the black centre of the eye). Keratoconjunctivitis is an eye inflammation involving both Cornea and Conjunctiva as a result of dryness either due to increased or decreased tear production. Blurry visions, pain, eye redness with a cloudy vision are some of the symptoms involved in Keratoconjunctivitis. A keratometer, also referred to as ophthalmometer, this is a diagnostic instrument and device used for measuring the curvature of the anterior surface of the cornea, particularly for assessing the extent and axis of astigmatism. Keratoconus is a progressive disorder where the normal cornea thins and bulges out into cone shaped structure and deflects light that enters the eye and causes distortion. Lacrimal glands are located just above the outer corner of the eye that secretes tears in the eyes. LASIK (Laser Assisted in-Situ Keratomileusis) is a surgical procedure that alters the shape of cornea using an excimer laser to minimise patient’s dependency on lenses and glasses. Lid attachment utilises the contours of edge and anterior peripheral surface to lid lens adhesion that maintains normal blinking with low riding of lenses. The light filtering lens is specially designed for sports and athletes fans to enrich specific colours and mute the background colour. MDD is a directive designed to ensure safety and reliability of wide range of medical products within European Union. Microcysts are minute cyst vesicles present on the epithelial or outer surface of the cornea associated with recurrent corneal erosion syndrome, presence of vapours, corneal dystrophies, interferon therapy and exemestane. Micron represents micrometer or one-thousandth of a millimetre in international system of units (SI) used in defining the tear layer thickness in the context of eyes. Mono-vision is an alternative contact lens for bifocal contact lenses as the eye care practitioner can effectively adjust the near and distance vision in each eye. Mucin balls are transparent dimples that contain debris accumulated in the contact lenses that causing disruptions to the mucous layer and indentations across the entire corneal surface. If high numbers of mucin balls are accumulated in lens then the patient may experience a transient effect on vision. Multi curve lenses are designed with multiple peripheral curves andacentral radius to fit the cornea perfectly and enhance tear circulation to keep lenses lubricated and comfortable all day. 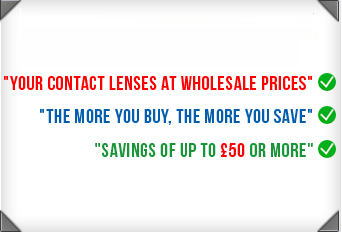 Multifocal lens are lenses that have more than one focal area with trifocals and multifocal being multifocal designs. Multifocal lenses are ideal for those suffering from presbyopia. This is sometimes age related and the effects usually begin from around the age of forty. Presbyopia is where the eye muscles harden and lose elasticity leading to blurred vision. As these muscles harden they do not have the flexibility to alter the shape of the crystalline lens within the eye and therefore can no longer focus clearly when reading. Multi-purpose solutions combine more than one function offering outstanding disinfection, rinsing and comfort, and are proven to reduce contamination of lens and kill harmful bacteria that could affect the eyes. Myopia is in general referred to as nearsightedness as a result of the Cornea being very steep, a crystalline lens that is too thick, an eyeball axial length is too long or combination of these factors where Parallel light rays comes in front of retina of the refractive state of the eyes. Nearsightedness is a condition of an eyeball that is long and steep, where one can look at distant objects very well but when looking at close objects a blurry vision is viewed as the light rays focus before they reach the retina. Due to Hypoxia, abnormal ingrowths of blood vessels takes place in the avascular cornea of a contact lenses wearer and is termed as Neovascularisation. Neutralisation is the process of rendering active lens ingredients to inactive and non toxic to ocular tissues that is usually executed to the systems containing hydrogen peroxide. Non-invasive break up time is a process used to determine the stability of the tears film using a cold diffuse light source or grid pattern for inspection without a staining agent. Ophthalmologists are eye care practitioner’sspecialised in the diagnosis, monitoring and medical / surgical treatments and diseases relating to the eye. Keratometer is a device employed to measure the anterior surface curvature of the cornea and radius of curvature of contact lens as well. Optic zone diameter is the central region of the contact lens within which the power is grounded. Optometrists are professionals qualified to test eyes and conduct other examinations to detect any eye related complications and diseases. They can issue prescription on lenses for abnormal vision corrections. Orthokeratology is a process of eliminating or decreasing myopia, astigmatism and other corneal irregularities by wearing rigid gas permeable or Ortho-k shaping contact lens overnight to gain sufficient visual acuity making it unnecessary to wear contact lens or spectacles all day. To determine the power needed to optimise the visual acuity, over-refraction is performed on the contact lenses of a patient. Over wearing syndrome is often noticed in PMMA contact lens wearers due to acute corneal reaction to hypoxia, central epithelial erosions, pronounced injections and lid edema. Oxygen permeability is the degree to which the contact lens allows the flow of fluids or gases. Oxygen permeability is referred to as the degree at which the oxygen gas transmits through the contact lenses at a specific thickness. Oxygen transmissibility is measured by dividing the oxygen permeability and thickness of lens material at specified conditions. Pachometer is the apparatus that uses optical alignment to measure the thickness of the Cornea. Pasteurisation is the process of disinfecting contact lens to destroy harmful and undesirable micro organisms with the application of controlled rate of heat. Permeability is the state or condition at which the gas diffuses though the surface of a material. Photo Refractive Keratectomy is a surgical procedure used to remove part of corneal surface by employing an excimer laser to correct myopia, hypermetropia or astigmatism. Placido disc is a circular instrument also referred to as keratoscope containing alternative black and white concentric circles with magnifying lens to determine the curvature of cornea or contact lens surface. PMMA is the material used in the manufacturing process of non-gas permeable rigid contact lenses similar to Lucite or Plexiglas. Polymegathism is variation of endothelial cell sizes usually observed in extended and long standing PMMA lens wearers. Posterior part of the eye is the back part of the eye ball. Preformed lens are scleral lens fitted from trial diagnostic contact lens with a specific array of parameters without having to take the shape and pattern of the eye. The term Presbyopia is derived from the Greek meaning “old sight” where the eye gets hardened with age resulting in gradual loss of vision and causes other age related inabilities to focus on all distances. Preservative is any chemical or agent that intends to prevent the growth of undesired micro organisms and adverse chemical changes. Prescription is Physician’s advice or order to a patient that contains subscriptions and directions to use a drug or define a patients optical needs in relation to vision correction. Prism Ballast is the method that employs a base down prism for lens stabilization to assist orientation of the eye in toric or bifocal lens when gradual increase in the thickness towards one edge of the lens takes place. PRK is a laser eye surgery executed to correct abnormalities in vision that includemyopia, hyperopia or astigmatism reduce dependencies on glasses and lenses by clearing front part of the eye or reshaping cornea. Profile matching is a method that uses optical projection or physical matching calibrated domes to access BOZR of lens by matching its profile shape with known curve radius. Progressive addition lenses are designed with series of horizontal curves that connect distance vision, intermediate and near vision altogether without separation and hence provide clear vision at all distances. Pupil is dark aperture portion located in the very centre of eye that allows the light to enter into retina. Radial Edge lift is referred to as the distance measured between a specific point on posterior surface of a lens at specified diameter to the back central optic zone along the radius of curvature. Radial Keratotomy is a surgical procedure to correct myopia using a diamond knife to make small incisions on cornea to make it flatten. Radiuscope also referred to as Microsphere meter employs Dry dale’s principle to measure the radius of curvature of contact lens. When light rays are made to obliquely pass from on transparent medium to other medium with different density then the direction of rays alters,this change is referred to as refraction. To determine visual acuity the refraction is measured. Refractive surgery is a treatment used to improve the refractive state of the eye by remodelling the cornea or cataract surgery with the excimer lasers. Replacement schedule is the length of time the lens can be worn before being discarded or replaced with new lenses. Residual astigmatism is the left over amounts of astigmatism after the patient has been fitted with the contact lenses. Retina is the sensitive thin layer inside the back of eyeball that converts light into electrical signals and transmits the signals along the optic nerve to the brain. Identification of different objects shape and visual processing of the colour are the functionalities of a retina. A Reverse Geometry Lens that has a central optic zone of flatter radius of curvature than the adjacent curvature to hold contour of post refractive cornea. When contact lenses are misplaced in the wrong eye it can lead to corneal and visual changes with poor fitting characteristics. This situation can be minimised by ensuring that packaging is correctly labeled. Rewetting solution is used to optimise lens performance by facilitating moisture and can refresh contact lenses by removing protein and other particles that cause irritation. Rigid Gas permeable lens are materials from which both corneal and sclera lens are made that are often hard, rigid and oxygen permeable lenses. Rigid Gas Permeable contact lenses are modernised version of hard lenses that are made of breathable plastic to exactly fit the cornea of eye. Radial Keratotomy is a refractive surgical procedure that corrects myopia with the help of diamond blade radial incisions that make deep incisions in to the cornea of the eye. The incisions number depends on the degree of myopia that bulge the sides of cornea and flattens the central portion of cornea and improves ones distant vision. Rose Bengal is a dye commonly used in eye drops to stain damaged or devitalised conjunctival and corneal cells to determine damaged eye. Saline solution is a mixture of sodium chloride in sterile water to clean the contact lenses. Schirmer Test determines whether the eye produces quantitative volume of tears by employing a filter paper accommodated in the outer temporal part of the lower fornix. Scleral Lenses are larger size lens with enough bearing surface on the sclera to manage severe ocular surface disease. Semi Scleral lens enhances visual acuity and helps to restore ocular heath generally used for corneal disorders, surface diseases, dystrophies, post refractive surgeries and high refractive errors. Silicone Acrylate is an oxygen permissible material used in the design process of rigid lenses where silicone and oxygen are formed to siloxane and copolymerised with Poly methyl methacrylate(PMMA). Silicone Hydrogels are soft contact lenses made of silicone rubber and hydrogel monomers that facilitate better oxygen transmittability and allow oxygen to pass through the lens more times greater than the conventional lens resulting in overall eye health. Simultaneous vision lenses are have both near and distance power vision as in the case of multifocal lens to correct presbyopia that allows light rays to enter the pupil at the same time. Soaking solutions contain weak disinfecting chemicals used to soak the lens when not in use to keep up lens functional condition. Soft contact lenses are made of flexible plastic material to offer great level of comfort to fit easily in the eyeball than any other contact lens. Soft contact lenses are easily damaged and tend to harbour bacteria and other environmental debris hence these lenses must be disinfected regularly. Many soft lenses are available in disposable form which do not require disinfection. Solution is a fluid that is used to clean, sterilise and store contact lenses. Spectacular Blur is caused when a regular contact lens wearer switches to reading glasses where a temporarily distorted image or blurred image is caused due to corneal edema or/and mechanical moulding. Spherical is something shaped in sphere with a curved surface that has same radius of curvature in all the meridians. Spin Casting is a technique that uses centrifugal force to produce contact lenses from a mold. The liquid polymer spun material is purified several times and is injected into the a high speed spinning mold and cured under ultraviolet light thereafter hydration, refining and demolding is done to smoothen the lens. Stabilisation is a technique used to identify Stabilisation zones using spline and polynominals to determine the peripheral portions on the surface of lens and soften the stabilisation zones to effectively orient the lens on the eye and facilitate comfort to the wearer. Staining describes the epithelium disruptions and other pathological alterations when using topical dyes. The uptake of fluorescein by lesions in the corneal epithelium is referred to as staining to access the health and integrity of ocular surface. Sterilisation is a process used to eliminate or remove undesirable organisms such as fungi, bacteria, viruses and other spore forms. Striae is also referred to as stretch marks that are caused by hypoxia a form of scarring or vertical stress lines observed on the corneal stroma. Surfactant is a detergent like cleaner that removes debris and other foreign elements from the surface of the contact lens. The tear layer thickness is the measurement of tear layers between the front surface of the cornea and the back surface of the contact lens that is usually expressed in microns. Theatrical lenses are lenses with custom designs to cover the dark eyes generally used by the television and movie stars and artists for special effects. Three and nine O’ clock staining is a condition caused due to staining of nasal and temporal areas of the peripheral cornea associated with contact lenses design, material , dry eyes and poor blinking where patients may experience mild discomfort. Toric lens as the name implies has one of its surfaces shaped like an equilateral zone of a torus that combines the effects of cylindrical and spherical lens. Thus, different focal lengths or refracting power are formed in different meridians for correcting both astigmatism and myopia or hyperopia. Toric periphery lens are made of one or more peripheral curves of toric construction to enhance the fit of the lens on cornea to restrain astigmatism. Toric is the term pertaining to contact lens or eye glasses with a surface forming a shape like torus or part of a torus with two different optical powers at right angles to each other. Transition is usually applied to the central radius and first peripheral radius with sharp and blended forms where the junction between the two adjacent curves on the surface of contact lens is referred to as transition. Translation is a term used to determine the movement of contact lens as the eye changes fixation to bring either distance or reading area of the front portion of the pupil. Trial lens are a set of cylindrical or spherical contacts used to test the fitting of the lens and vision. Tri-curves are constructed of two peripheral curves and central radius to correct refractive ametropias, pellucis marginal degeneration and refractive surgery complications. Trifocal lenses have both the upper and lower parts for distance and near visions like Bifocals, but are separated with intermediate correction focal area for intermediate, faraway and mid-distance vision. Truncation is the technique of removing the peripheral surface of contact lens to align in the form a shelf like shape to rest upon and align with the lower lid. Vascularisation is a technique used to reduce visual acuity or inflammation of the cornea due to excessive growth of blood vessels (Due to lack of oxygen reception) from the limbal vascular plexus into the cornea. Vertex distance is the distance between the centres of correcting contact lens to the corneal apex which is usually 12mm. Visual acuity is the measurement of sharpness of vision where the normal visual acuity is expressed by the fraction 20/20 or 6/6. The numerator indicates the distance between the patient and the Snellen eye chart and the denominator indicates the letters size the patient is able to read. Visibility tints are the contact lenses that are tinted lightly to identify them when dropped or in solution but the tint does not affect the eyes. Water content is expressed as a percentage of total weight of the hydrated and absorbed by hydrophilic contact lens. Water up Take is usually expressed as a percentage weight of lens prior to hydration to determine the volume of water up taken by hydrophilic contact lens. Wear schedule is the time period you wear the contact lenses per day depending on extended or daily wear contact lenses. Wettability is referred to as the contact angle between a liquid droplet on a horizontal surface or ability of a solid surface to reduce surface tension of liquid droplet to spread and wet the solid surface. Wetting solutions contain wetting and disinfecting agents that ease the process of applying lens to the eyes and relieves dryness of eyes for several hours of lens wear, and additionally cleans lenses as well. Xerogel as the name implies is a solid gel that retains high porosity and enormous surface area with small pore size.